My Pursuit of Happiness « The Appledrive Project Inc. The essence of life does not depend on how happy you are, but on how happy others are because of you. That saying may sound a bit trite and cliché, but I can never stress it enough times. In fact, I have made this a sort of mantra in my life, a guideline in the things I have been doing, especially lately. Happiness for me is something that no money can ever buy. 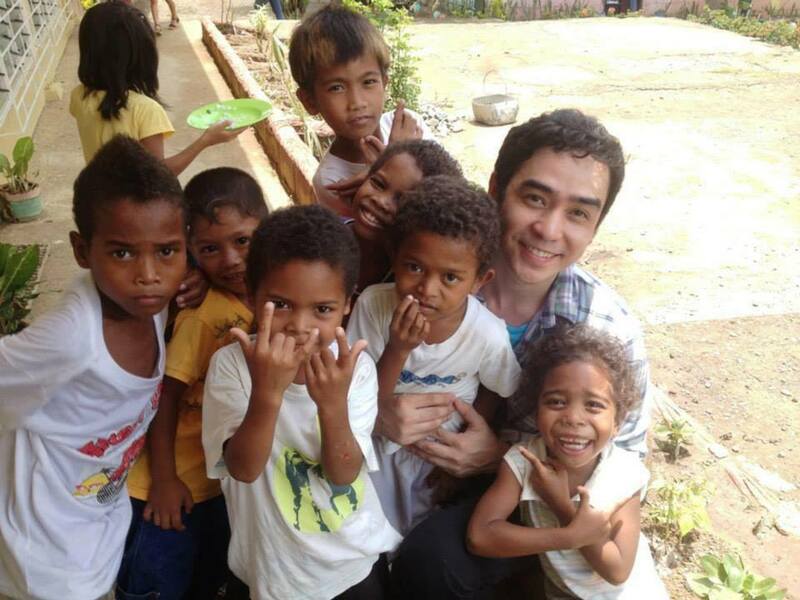 It is such a different and inexplicable feeling, to be able to put a smile on someone’s face. For me, it gives me a sense of overwhelming joy and contentment. And I truly feel blessed to be able to share it most especially to kids. 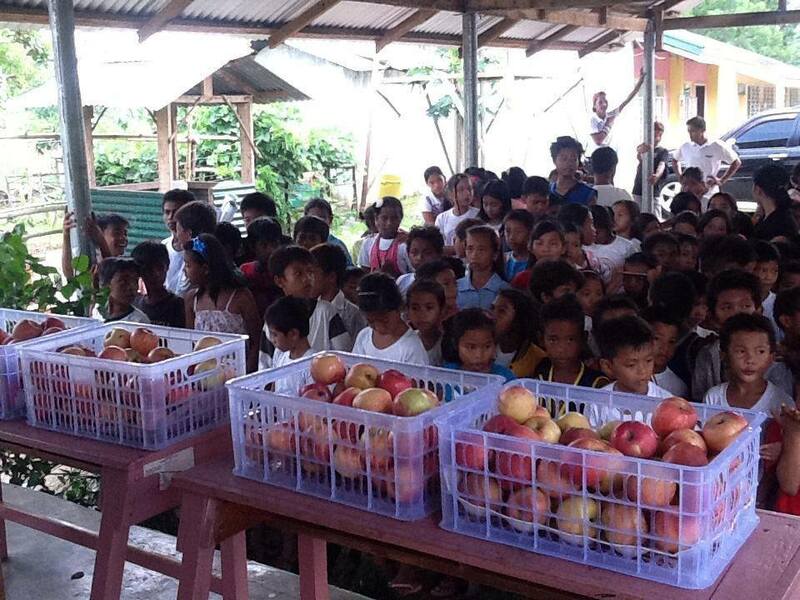 In our most recent appledrive at Kalikasan Elementary School in Palayan, Nueva Ecija, Philippines, we were able to share to the predominantly Aeta community of kids not only these famed apples to which the event has been known for, but we were also able to serve to more than 230 kids from preparatory level up to Grade 6 a healthy lunch–comprised of rice, chicken, and vegetables, and showed these kids and their parents the importance of handwashing. 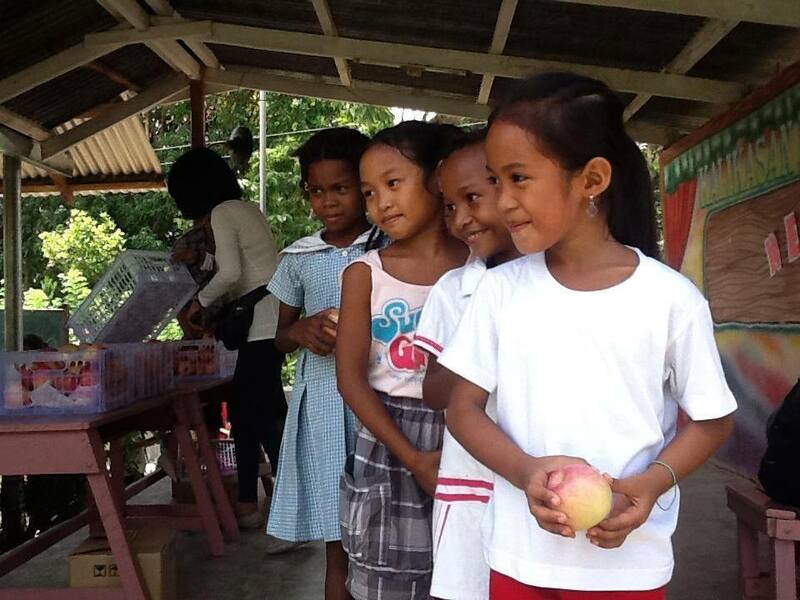 We also distributed soap and other personal hygiene kits (toothbrush, toothpaste, tissue, shampoo) and story books. We even sported some fun, educational games like a mini spelling bee and Q&A, and a brief filmshowing. In my pursuit of happiness, it is not always glitter and gold, or sunshine and smiles. There would be certain times I would feel down too. But every time I feel sad, I stop and smile instead. Happiness is but a decision to stay positive in spite of difficult times. It is a conscious and deliberate effort taken daily. And I have so much to be thankful for in this life. I admit that sometimes, I feel guilty indulging in fancy restaurants. 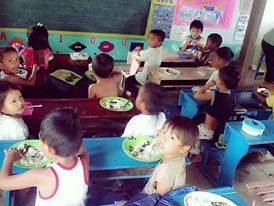 I would remember these kids and how, sometimes, some of them won’t come to class because they don’t have lunch food. I find that this is my weakness: seeing these kids not being able to go to school just because they don’t have enough food allowance. Eleven pesos. Nothing more than loose change for most, which people could probably afford to lose or just throw away. But on that day, 11 Pesos (USD .25) made all the difference. On that day, it meant nourishment for 236 young minds and bodies. I realize that I have found my life’s purpose: to touch people’s lives in this way. I will probably never stop doing this thing that I do, especially with the knowledge that these kids’ happiness are on the line. Sometimes, I get so excited for the next Appledrive Project such that I would wake up at dawn and think of ways to improve these charity projects and how to make more kids happier. We don’t always need to have much to be able to share our blessings and leave seedlings of happiness and hope in other people’s lives. 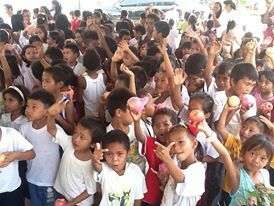 But with these kids, I hope during that one day, I was able to do just that and make them feel they were truly special and thought of too. When you think about it, what is a mere apple? It gets eaten and after a few minutes, it’s gone. But the impact these will later on make in their lives, I know in my heart will last more than those few treasured hours. Thanks to Shutter+Days for covering my Appledrive event last July 12, 2013, to JCI Makati family, and to ever-generous friends. May your hearts always be blessed! Let’s build a community. Join me on Facebook!